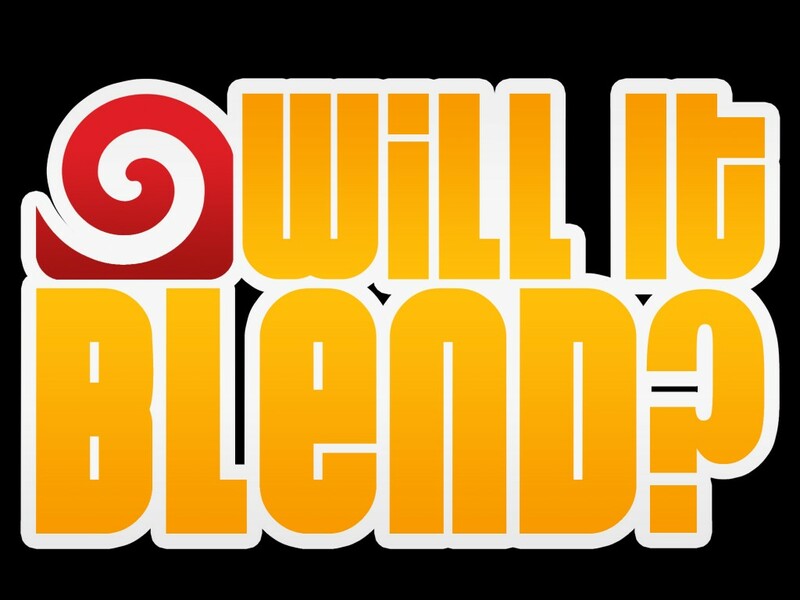 The Story Behind "Will It Blend?" HOME / NEWS / THE STORY BEHIND "WILL IT BLEND?" I can’t believe it's been 6 years since we posted our first Will It Blend? episode. The honest truth is that Will It Blend? started with us fooling around. I mean, we had an objective, but YouTube was brand new and at the time we didn't really see the “marketing” side of people posting silly videos on the Internet. George Wight, the marketing manager at the time, asked me to set up a shoot where Tom would blend a bunch of things (marbles, rake handle, can of Coke, Big Mac meal, etc). George got that inspiration from watching Tom test the power and durability of blenders by blending 2x4s down to sawdust. My job was to film Tom and make it interesting. If you watch the first 10 or so Will It Blend? episodes, you'll see Tom with almost no comedy, no lines, no gags or sound effects. Tom basically said, “Here are some marbles; I think we'll blend these.” That’s it. The “don’t breathe this” line came from a joke I did during the first shoot. Tom had blended a ton of items the first few days we were shooting. I think we cranked out 6–10 episodes. When Tom got around to blending marbles (the first blend we posted), he joked that we shouldn't breathe the demolished marbles because they were made out of pure glass, and if we were to breathe in the particles, we could get silicosis. To be funny, I copied Tom's warning from the marbles video and pasted it into the following episodes. It was an inside joke but eventually became a staple of the series. We have many great things coming for Will It Blend? in 2013. Stay tuned! It sure give some great ideas. Keep up the wonderful work. My children found the original “Will It Blend” episodes some years ago. We watched and enjoyed them all, as they came out. Years later, Qigong brought us to own 2 blenders and sing their praises again. And no, we don’t try anything we saw on “Will It Blend”.